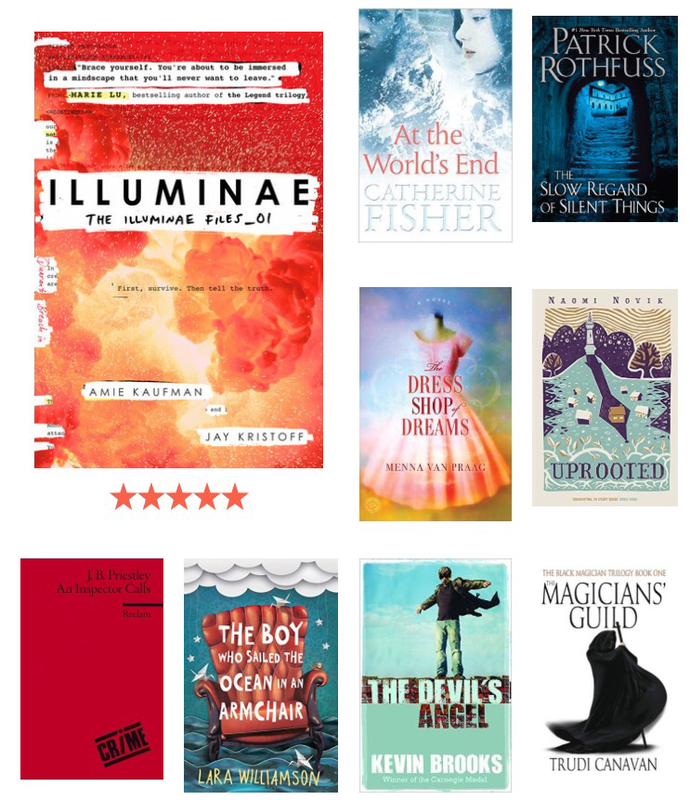 I started the year with some brilliant books: I devoured Illuminae and read the whole thing cover to cover on New Year’s Day. It’s definitely one of the most original books I’ve read in terms of execution of an idea and I found it compelling to read a story told in such an unique way. I also read, and adored, Patrick Rothfuss’ The Slow Regard of Silent Things. I so enjoyed heading back to this world (Rothfuss is a genius of the genre) and I found this tale told from Auri’s perspective to be haunting and moving. It’s not an continuation of the Kingkiller Chronicles and I know many were disappointed because of this, but I found it utterly enchanting and a true testament to Rothfuss’ skill and imagination. 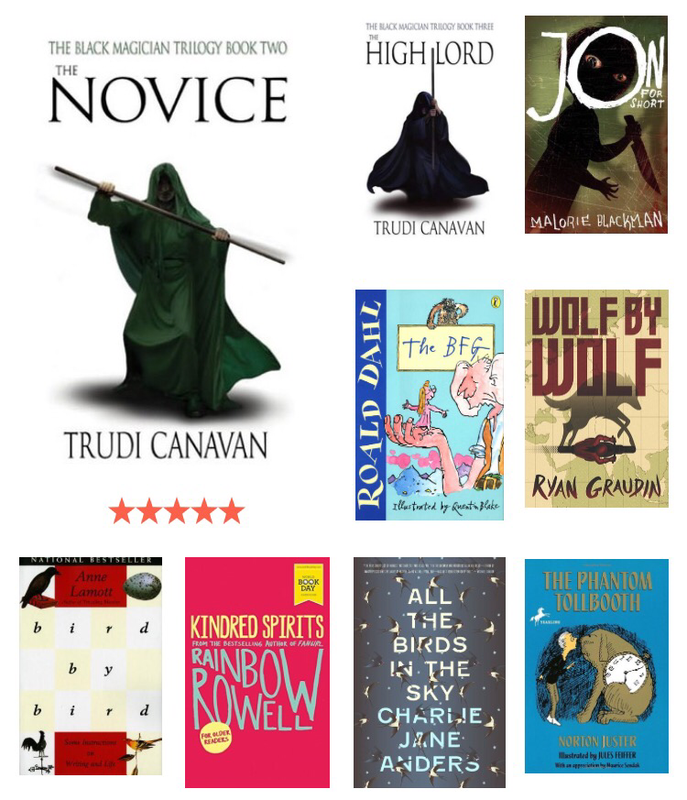 I enjoyed revisiting an old favourite series in The Black Magician trilogy – The High Lord is one of my favourite characters. Bird by Bird was one of my favourite reads of the year. It really made me want to write more of my own and made me feel like it wouldn’t matter if it turned out to be utter tripe, as long as I had the courage to actually write it! I haven’t done as much writing as I had hoped but thei book certainly spurred me on to write more than I’ve ever managed before. My mum lent me a copy of The Phantom Tollbooth and I thouroughly enjoyed it. A fantastical world filled with entertaining word play. A great fun read! 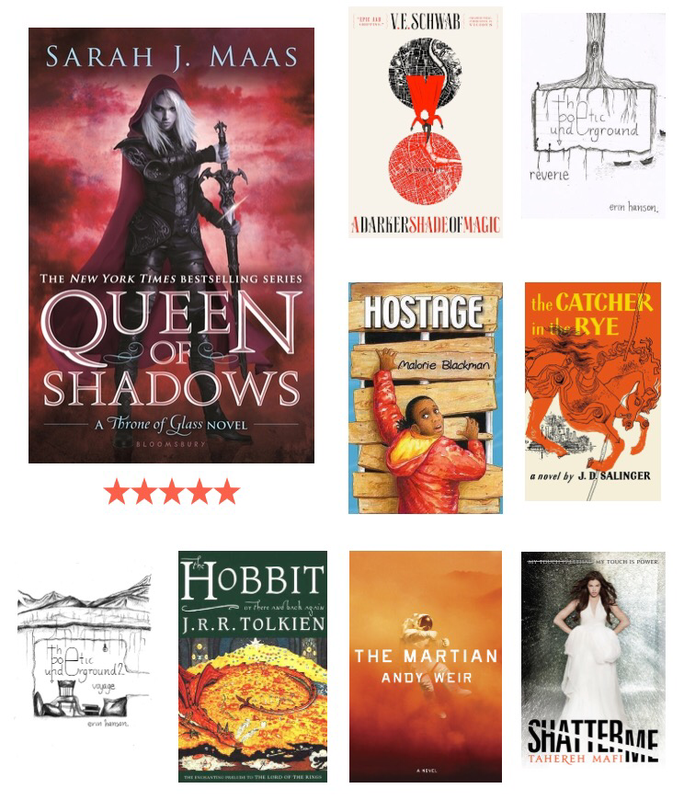 A couple of highly recommended books on bookstagram that made my reading list this year were Queen of Shadows and Shatter Me. I really enjoyed Queen of Shadows, in fact I loved the whole series – Caleana is a great character! Unfortunately, I did not feel so positive about Shatter Me. I can’t quite put my finger on it but it just didn’t grab me. I normally enjoy reading YA but this one just felt too young, somehow. I know many people loved it though and it’s an interesting premise so I’d still give it a go. I enjoyed The Martian immensely and it’s one of the few books that I have read AFTER I’ve seen the film. It’s funny and somehow still profound: I just love Watney’s dry humour. I’d also highly recommend the film as a really try interpretation of the book – Matt Damon is excellent! The Catcher In The Rye is on that I have been meaning to read for an absolute age and the couple of times I started it I just wasn’t in the right mood. Not the case this time! I always think it’s worth persevering with classics if they don’t quite grab you the first time, as I have found with many that when I eventually get my brain to engage then I really enjoy them. Ah, so many good ones in this little batch! The Long Way To A Small Angry Planet is a compelling and original story which Infound incredibly thoroughly gut provoking. It’s sci-for as I’ve never read it before and I completely fell in love with the crew of the Wayfarer. I’m excited to read the sequel in 2017! I finally got around to reading a couple of children’s classics which I had never read before: Peter Pan and A Little Princess. Both were wonderful! Peter Pan is wonderfully weird and fantastical but the classic story which many of us grew up with (regardless of whether you’d read the book or not) doesn’t fail to engross, even as an adult reader. A Little Princess is completely enchanting and has some of the most beautiful lines and turns of phrase in it. I grew up loving the film adaptation of this book, my favourite part of which was always the magical transformation of the attic – it was just as magical, if not more so, in the book! Loved it! I also have to mention Girl of Ink and Stars – this book is utterly wonderful. You cannot help but fall in love with the characters and the island, and the storyline strikes the perfect balance between being vividly real and disturbingly fantastical. Two more favourites from this year were Rebel Of The Sands and The Reader On The 6:27. 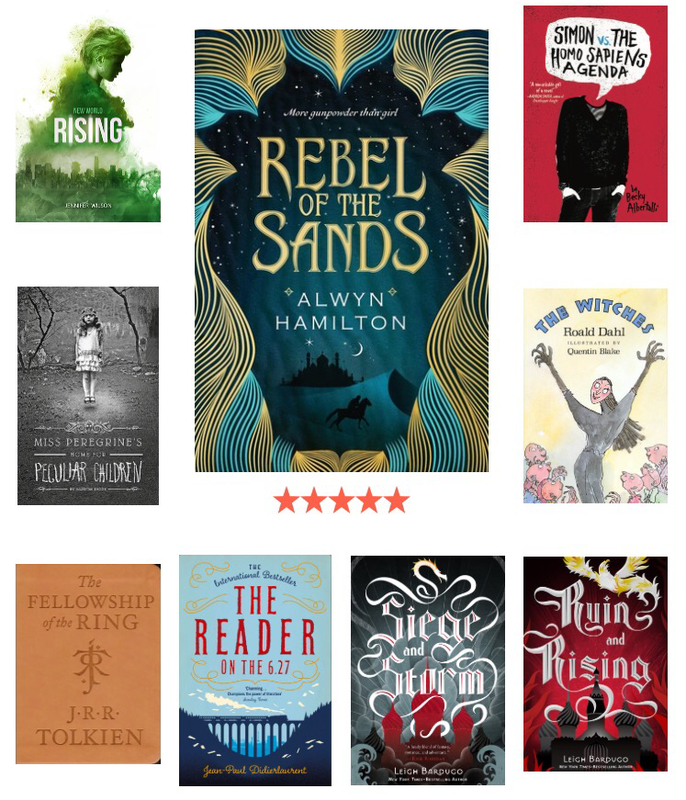 Rebel Of The Sands is magical and bursting with imagination. It’s so brilliantly written that everything leaps out at you – you can almost feel the heat rippling off the page and constantly expect to find grains of sand trickling into your lap. Read it. I continued my re-reading of Harry Potter over the summer which is always a favourite of mine. If you’ve not yet read this series then you should give it a go. Queen of The Tearling was a great new fantasy read and, again, I’m excited to read the next in the series in 2017. 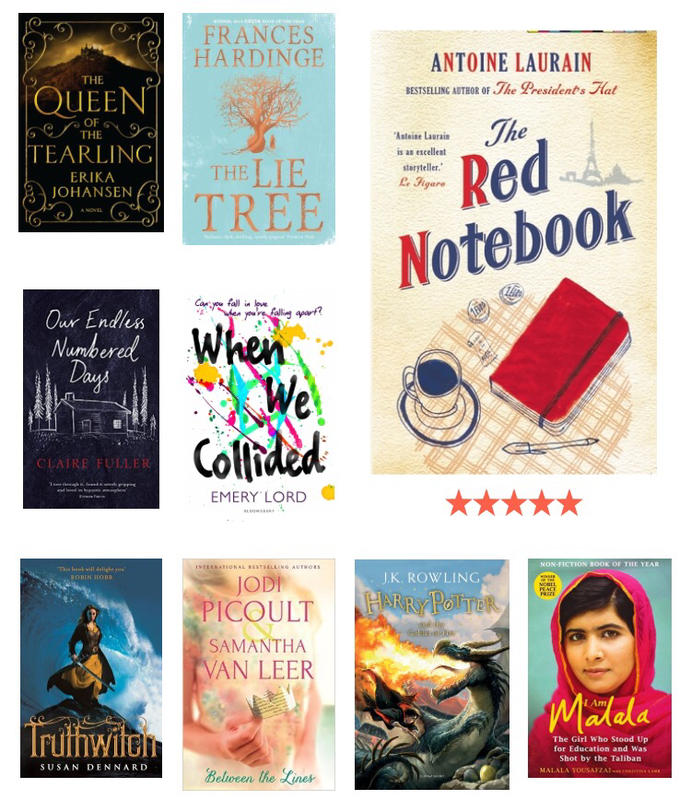 The Red Notebook is a really lovely story – great for fans of The Storied Life of AJ Fikry! I am not normally one for non-fiction or biographies but I had to give I am Malala a chance and I was not disappointed. I already knew something of Malala’s story but reading it in her own words was truly moving and made me feel proudly fortunate. I was also so struck by what an incredible man her father is – we need more men like him in the world. I was excited to receive The Graces in my Illumicrate box in July and really enjoyed reading it. I felt it took a little while to get going but was one of those I couldn’t quite put down. Sleeping Giants was initially a cover but (so pretty!) but I was really pleased to have picked it up. It has echos of Illumicrate but is adult sci-if rather than YA. I also enjoyed reading a sci-fi that was set entirely on Earth! 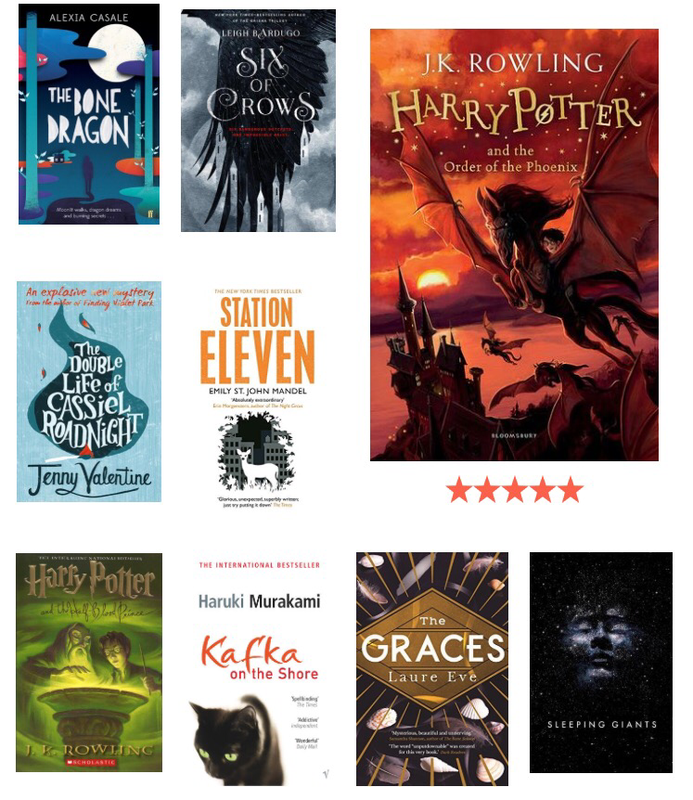 I had so much fun reading all the new wizard of world books released by Pottermore this year – I loved reading a bit more about some of my favourite characters, particularly McGonagall. If you’re a HP fan and haven’t read these yet then you should go and read them. They’re inexpensive, quick to read, and a delightful trip back to the wizard of world. 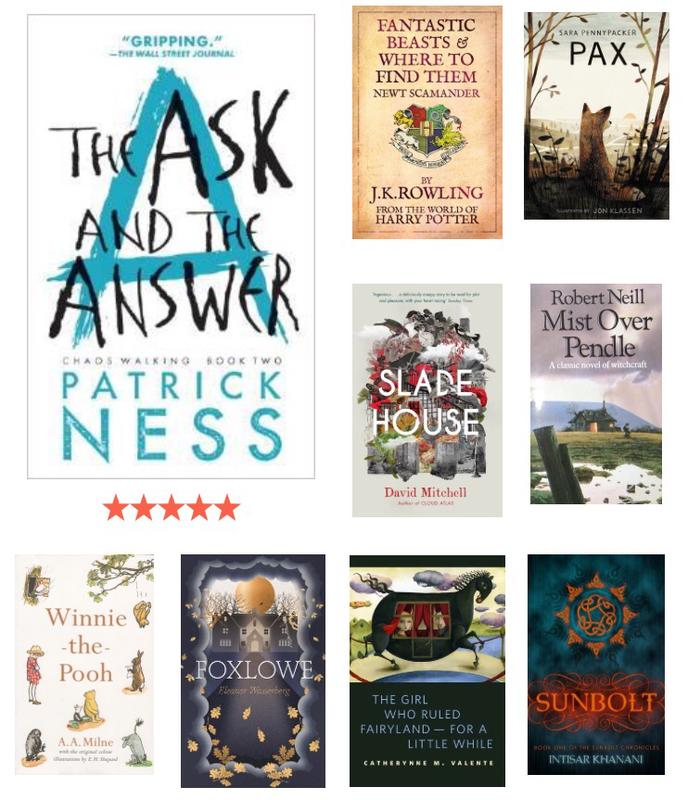 Other favourites from this bunch were Ted Hughes’ poetry collection, Crow, and the recently published Grief Is The Thing With Feathers, which it inspired. Both were dark, profound and deeply moving. Anyone who has grieved will find something of truth in these pages and it is strangely comforting. Pax is one of my absolute favourites from this year. A thoroughly moving story about a boy and his best friend, who happens to be a fox. It’s a lovely tale but the thing that struck me much was how TRUE the pages from Pax’s perspective felt. That might sound strange, after all how on earth would I know what a fox’s perspective would sound like, and yet it felt completely right. It wa the perfect autumn read. My Grandmother Sends Her Regards and Apologises joins Pax on my absolute favourites of 2016 list. This book was charming, magical, relatable, and laugh-out-loud funny. I have bought at least 3 copies to give to other people and cannot recommend it highly enough. Probably the most controversial book I’ve read this year is Harry Potter and The Cursed Child. I have seen such mixed reviews about it: some love it, some hate it, some have gone so far as to say they feel betrayed by JK for putting her name to it(?!). As far as I’m concerned it was great fun! It was NOT the 8th Harry Potter book but I never expected it to be. 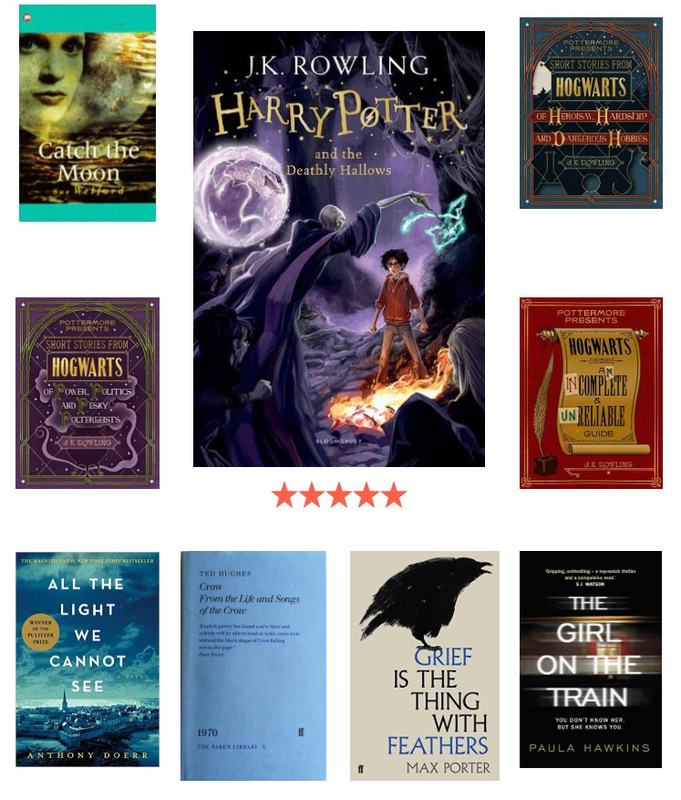 It was fun to return to Hogwarts; it was fun to imagine the possible futures of my favourite characters; it was fun to see something of the next generation of witches and wizards. Yes, there were some slightly questionable plot points, yes, it did read a little like fan fiction – but, honestly, I still loved it. I would happily read it again and I really, really hope I get to see the play at some point. 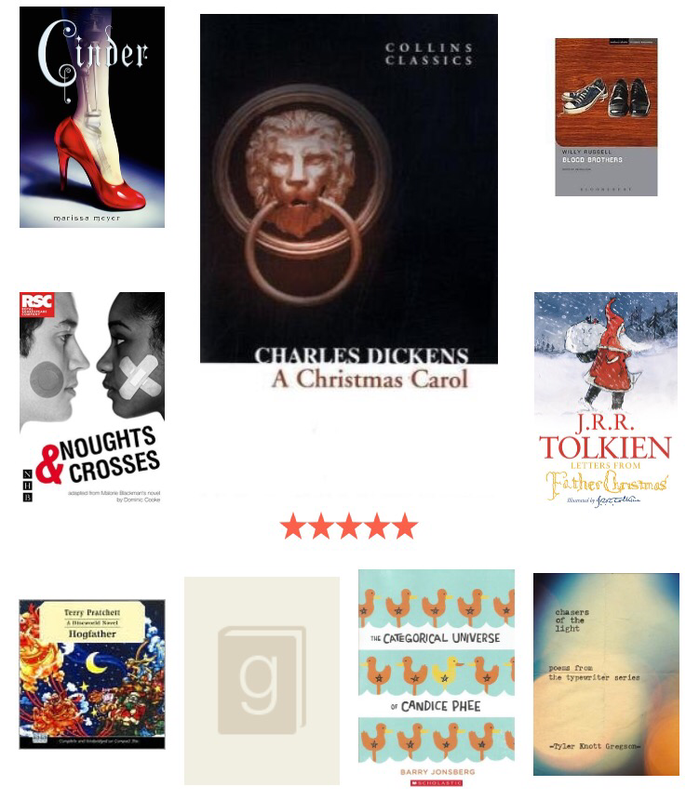 My last big batch of reading from 2016 included some of my Christmas favourites: A Christmas Carol is to this day the only Dicken’s book I have read all the way through. I hope to change this in 2017 as I really do love this book and although Dicken’s writing is incredibly wordy I think it is beautiful. Chasers of the Light was a Christmas present and I absolutely loved it. Simple, but stunning, poetry typed on found paper – a joy to read. 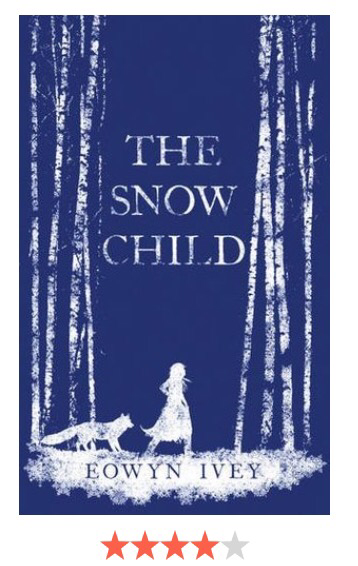 My 100th book of the year was The Snow Child which has been on my bedside table for 2 years waiting to be read. This tale is achingly sad but beautifully written. It is a haunting tale and Ivey perfectly evokes the ethereality of deep winter and human desire for connection and love. There’s clearly a favoured theme since I haven’t stuck to one theme all year but these all got the most likes. 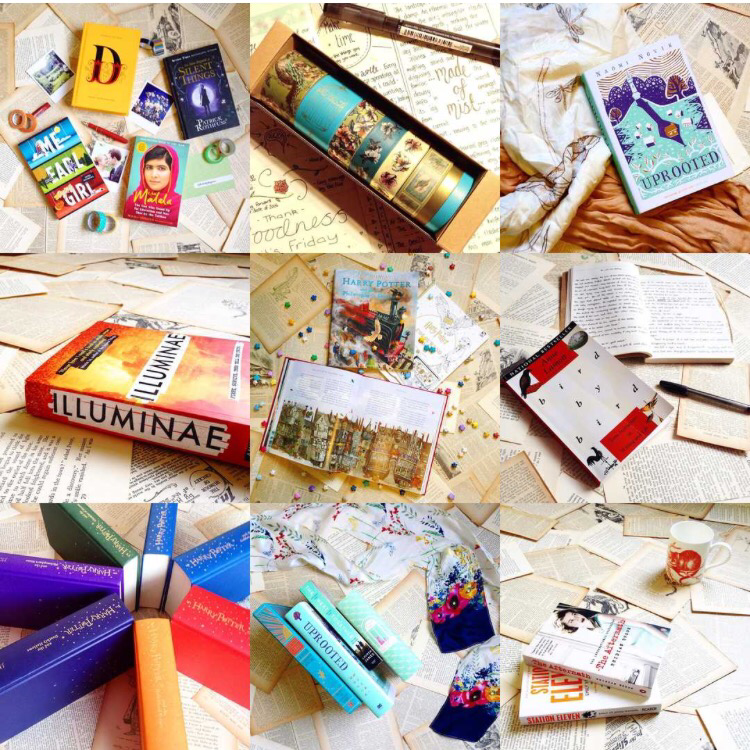 I haven’t decided what I might do with bookstagram in 2017 (to stick with one theme or keep a messy feed, that is the question…) but I do know that I still love this online bookish community. The pictures are beautiful and inspiring and the people are kind and encouraging. 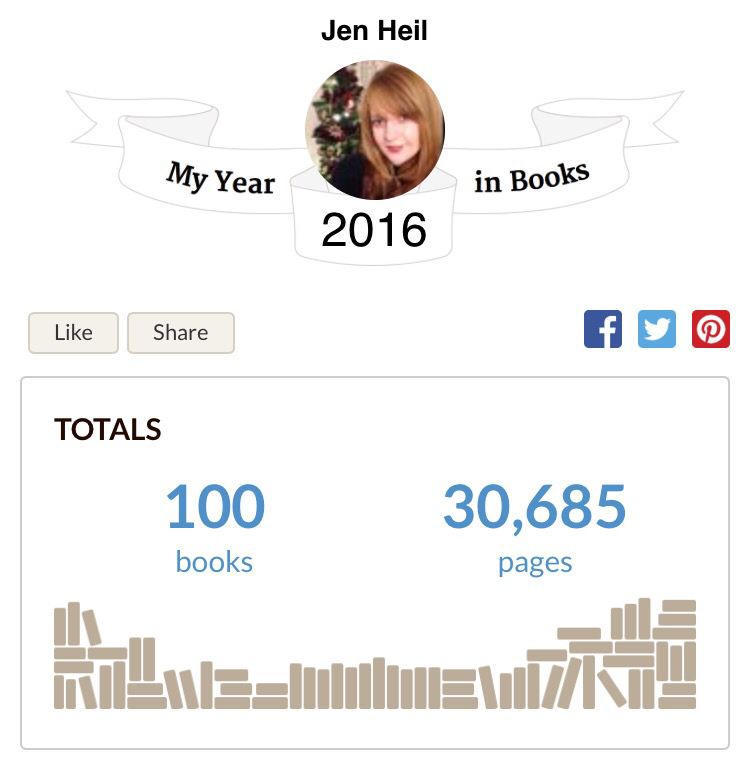 It’s a great little creative outlet and I look forward to another bookish year being a par of it. 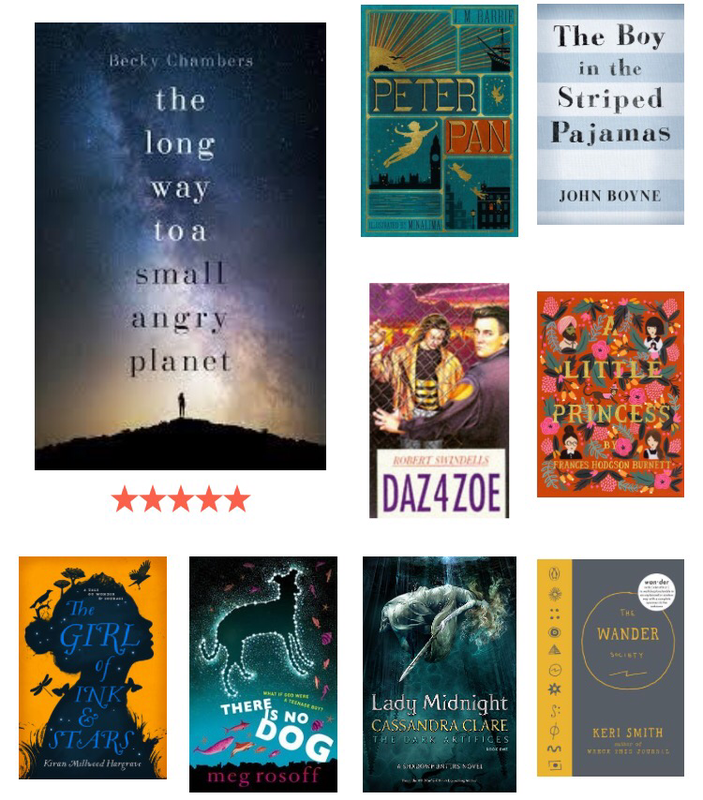 So there you have it, my year in books! I hope you had a wonderful year, whether it was bookish or not. 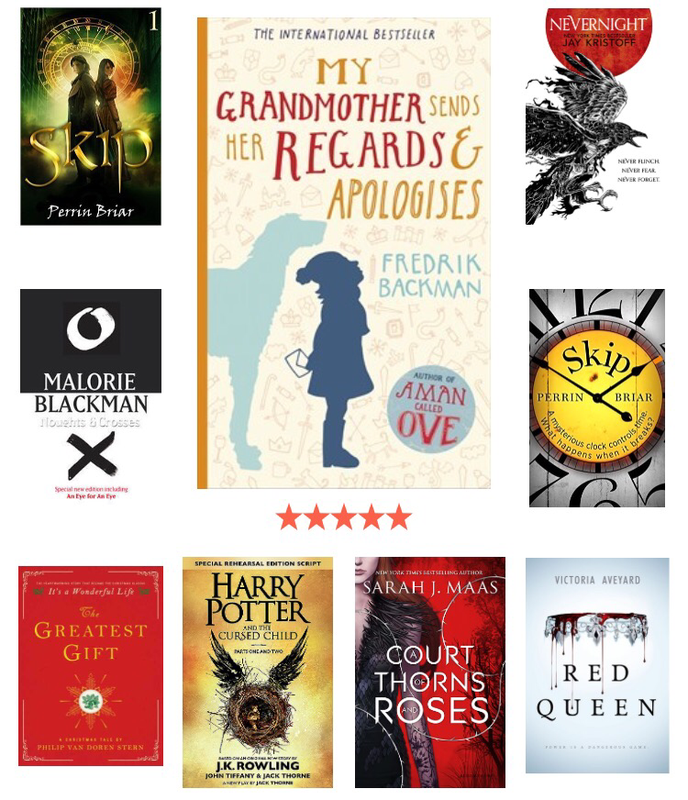 Please leave any of your own recommendations/favourite reads of 2016 in the comments. Whatever your 2016 was like I wish you all the happiest of New Years, and love, peace, and joy for 2017.